A domain name is the address that you type into a web browser address bar to get a website. An example of a domain name is www.website.com. A domain name is unique to a website and cannot be shared between different websites, and a custom domain name is one that is specifically for your website. There are many reasons why you should get a custom domain name for your website, even if your website is “just for fun.” In this article, we will look at some of these reasons, as well as show you where and how to get a free custom domain name for your Website.com website. Yes, it is true that you don’t necessary need a domain name for your website. In fact, there are many website builders that offer free plans with free website addresses. But these free website addresses come in the form of a sub-domain. For example, if your website builder is “example.com” (not a real website builder), they may create a sub-domain called john.example.com for you to use on your website. Visitors typing in http://john.example.com will end up at your website. But you may not realize it’s not that simple. When you lose your website address, you lose all your regular visitors – people who bookmarked your website and return frequently for updates and new information. When they click on their bookmark link, they will end up at a browser error page. Not to mention all the marketing work you have to do to publicize your new website and get your visitors back. It will be awhile before your website gets back to what it used to be. Contrast this with what happened if you have set up your website on a custom domain. Yes, you will still need to find a new website builder and rebuild your website, but because you own the custom domain, you can take it along with you and re-attach it to your new website on the new service provider. To your visitors and search engines, there is no change of web address and your website can still be reached at the same address as before. Many people will not want to do business with a company that doesn’t even have its own domain name. When you get a custom domain, you’re not only getting a professional website, you’re also getting a professional email address. You, and many other people, will mostly likely contact ABCLaw@ABCLawPractices.com because by using a custom domain, the law firm looks more professional, credible and trust-worthy. Search engines like Google and Bing give preferences to domain names rather than sub-domains. This means, given the same website content and same amount of links, search engines will rank ABCLawPractices.com higher than ABCLawPractices.example.com. Even if your website is a hobby site or it’s “just for fun” it is a good idea to get a custom domain instead of using a free sub-domain. Don’t underestimate the first website that you’re creating “for fun” – that’s how Facebook started in the first place. You don’t want to wait until your hobby site becomes serious before you look into getting it a custom domain name. Think about all the traffic, visitors, links, etc. you might’ve already accumulated – it might be too late by then. Are custom domain names free? How much do they cost? While a domain name itself is not free, you can get one for free from Website.com. The cost of a domain name depends on where you’re buying it from, as well as the domain extension you’re buying. For example, country-specific domain names such as .ca and .co.uk are generally more expensive than the generic .com or .net. A .com domain name typically costs around $10 to $15 per year. Other website builders’ free domain offer only applies to a .com or .net domain name, meaning if you want a free domain name, you have to choose a .com or a .net domain name. Say, if you want to use a different domain extension (such as a .org or a country-specific domain extension), you may have to pay the difference. 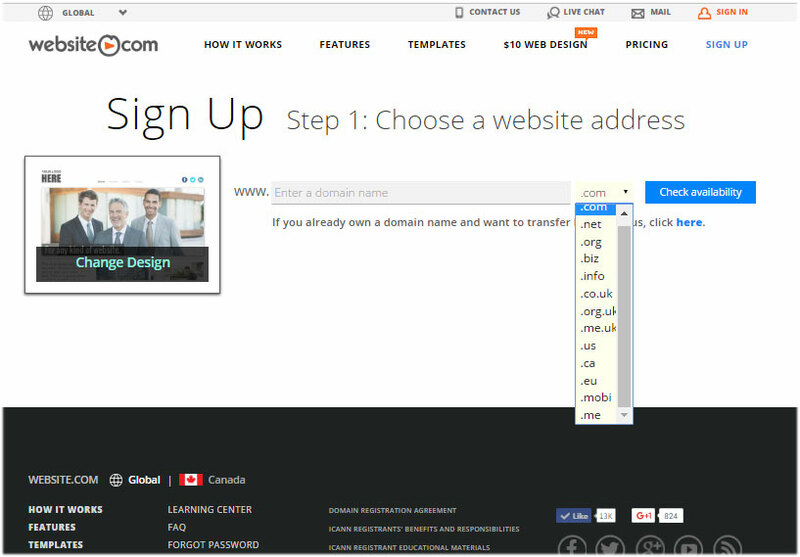 But with Website.com, you get to choose from 13 different domain extensions. And while a country-specific domain extension typically costs more than a generic domain extension, if you want to use a .ca domain name instead of a .com, go ahead – and be reassured that you won’t be charged the difference or extra costs. The free domain name that other website builders offer is for a 1-year term only. This means at the end of the first year, if you want to continue using the same domain name, you will need to pay the then-current renewal rates, usually around $12 to $20. But, with Website.com, your free domain name is auto-renewed for you for the lifetime of your website builder service plan. If you renew your service plan for another year, Website.com will extend the free domain for another year. I want to get a free custom domain from Website.com. What’s the next step? Once you’ve decided to proceed with a custom domain name, your next step is to go to Website.com and sign up for a website builder plan. Then, from there, you can search for the domain name you want to use. As we have mentioned earlier, you can choose from 13 different domain extensions. And while a country-specific domain extension costs more than a generic domain extension, if you want to use a .ca domain name instead of a .com, go ahead – your first domain is on us. Shorter names make better domain names – they are easier to type and less susceptible to mistakes. Longer domain names, on the other hand, have an advantage when it comes to keywords and search engines give preferences to keywords that are also found in your domain name. What if the .com domain name I want is not available? 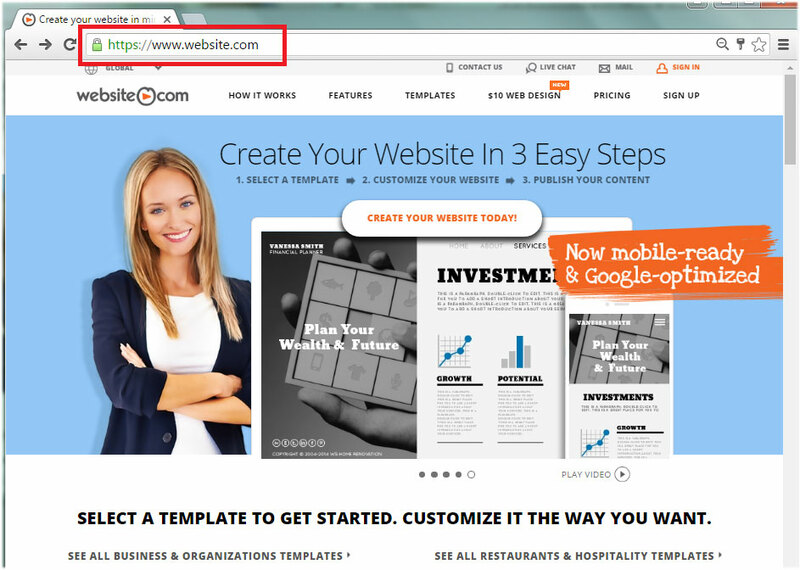 When it comes to domain extensions, people tend to prefer the more popular ones such as .com and .net. There is an undeniable familiarity with a .com that you will not find with any other domain extensions. But if your website targets local customers, you might want to consider using a country-specific domain extension. Learn more about Domain Extensions in our article: Does it matter which domain extension you use for your custom domain?